With four model years behind it, the 2017 Mazda CX-5 continues to enjoy the acclaim that it has received ever since its initial release. Hailed as a new benchmark for the crossover SUV, it offered a perfect marriage of handling, comfort, ride quality and amenities. 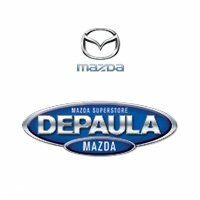 Mazda had already been recognized by the EPA as the most fuel-efficient automaker, by the time that the CX-5 began to garner such recognition as (i) Car and Driver’s ‘Editor’s Choice for Compact Crossover’ (ii) Edmunds ‘Top Rated SUV’ and (iii) an IIHS ‘Top Safety Pick’ with ‘Superior Front Crash Rating’. And yet the CX-5 shows no interest in resting on its laurels. With the 2017 model year came a full redesign (albeit with the same overall dimension). But as far as small crossovers go, the CX-5 is deserving of its accolades. Available in four trim levels (Sport, Touring, Grand Select and Grand Touring) the CX-5 is priced to start at around $24,045 MSRP. Built upon a slight enhancement of award-winning architecture, the 2017 Mazda CX-5 received a spectrum of updates, ranging from subtle to exclamatory. In terms of those updates which can be described as ‘subtle’, the enhancement of door seals and sound-absorbing materials helps to ensure a quieter, more relaxed ride. 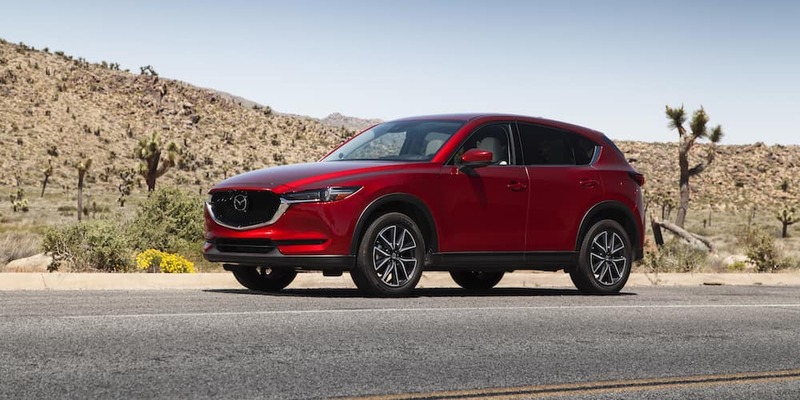 Although this adds around 100 LBS to the overall vehicle weight, it’s a welcome inclusion as it offsets any increase in noise resulting from the CX-5’s improved throttle response. Ranking among ‘exclamatory’ updates is the restyled cabin, which stands head and shoulders above the competition, both in terms of quality and design. With that in mind, let’s take a closer look at the 2017 Mazda CX-5. Regardless of trim level, the CX-5 is powered by a 2.5-liter four-cylinder engine paired to a six-speed automatic transmission. Generating 187 horsepower and 185 lb-ft of torque, the CX-5 can arguably boast having the best handling in the small crossover segment. With a sporty, weighted steering and confident braking it is built to be driven, and with 27 mpg combined (31 highway / 24 cities) there’s no driver’s remorse. And with a 2,000 LB towing capacity, the CX-5 earns some utilitarian credibility, as well. The 2017 CX-5 may be among the more impactful redesigns seen in consecutive model years. This is an impressive feat considering that it nearly retains the same overall dimensions. But this redesign embodies refinement, boasting a streamlined appearance that’s felt across almost every square inch. Beginning with an upsized grille, the CX-5 immediately makes better use of its real estate. With the elimination of dead space a clear intent, the choice to connect the grille to the headlights only further supports the goal. And with a more sleek, elongated headlight Mazda manages to infuse its small crossover with a healthy dose of aggressive prowess. Walking around the CX-5, and the changes made to the front-end become even more appreciable. With wraparound styling, the slick, contoured shaping of the headlights segue from the overtly updated front fascia to the more subtle refinements of the CX-5’s profile. Encouraged by a more leveled, aerodynamic hood you’ll notice a more lean, athletic look. This echoed around the rear-end, where a subtly sculpted look reduces some of the boxiness, encouraging a lighter, more sporty feel overall. Once again the overall dimensions haven’t changed significantly, but the subtle reallocation of space creates a far more dynamic silhouette. It is an achievement within Mazda’s KODO (Soul of Motion) initiative. The interior of the CX-5 rates among one of the most distinctive and appealing offerings within the segment. Consisting of rich, soft-touch materials there is an absence of cheap-looking, or economy-evoking trim-pieces and accessories. Its sumptuous feel is built around the cockpit and dashboard composition. Opting to eliminate oversized controls and panels, there is an overall simplicity to it. That said, Mazda isn’t afraid to take some chances. the inclusion of the raised touchscreen display and the arrow-shaped air vents help the CX-5 to stand out as exceptional. It’s fair to say that the CX-5 was designed with drivers in mind. With excellent (but customizable) driver positioning, it provides comfort for long-distance driving as well as strong outside visibility. And while the cockpit is certainly driver-centric, the upscale feel of the CX-5 isn’t focused on the fore-cabin. Rear-seated passengers can expect a comfortable ride and easy entrance and embarkation through the tall doors. Jump trim levels, and you can upgrade from fabric (Sport) to simulated leather (Touring) and leather (Grand Select & Grand Touring). At the Grand Select level, you can also enjoy the ambiance of a moonroof. Flat-folding rear seats allow for additional cargo space, and small-item storage within the CX-5 abounds. Prominent demographics for Crossover / SUV offerings may be among the most demanding of car buyers, and passengers. Whether we’re talking about accommodating the active lifestyles of younger drivers, or the demands of multi-age families, there are a wide-range of expectations to be met. With that in mind, Mazda’s take remains true to the refined nature of their design philosophy. While certainly not ‘lacking’ in terms of amenities, it makes no effort to clutter their sleek design with a kitchen sink mentality. From the (base) Sport level, the infotainment system is built around a 7-inch touchscreen (with rear camera). Bluetooth-enabled, the CX-5 sport offers a four-speaker sound system with USB ports. Step up to the Touring level, and the sound speaker is upgraded to six-speakers, with more USB ports added. Additional amenities include heated front seats and enhanced driver assist features, such as blind-spot monitoring. At the Grand Select level, things start to amp up courtesy of premium Bose audio with satellite radio and built-in navigation. Additional ease of use comes as a result of Mazda’s power lift-gate, and driving is enhanced with automatic turn-swiveling headlights. The Grand Touring takes all of these features and adds additional safety features such as adaptive cruise control, lane keep assist and forward collision warning and mitigation. The 2017 Mazda CX-5 is a winning design. Generating enthusiasm among those in the market for a small crossover, it represents a clarity of design and engineering. It knows what it is, and shows no interest in being anything else. It knows its audience, and gives them exactly what they need, without inundating them with excess. It truly is worth exploring.